When Tom Pignone and Kathy Troxell founded Turning Point in 1994, they set out on a mission to help those who were under served. Both Tom and Kathy have lived a life full of philanthropy, both dedicating significant time and resources to organizations that they are passionate about. This passion for giving back to the community has been deep rooted in the culture of Turning Point for almost 25 years. In an effort to make giving back a thread that keeps the organization grounded and connected with the community, Turning Point Financial is honored to support a Charity of the Quarter each quarter of the year. Throughout the quarter, you can find detailed information and ways to help the charity both on our social media pages and throughout our office. The team works together to fund a specific goal or project throughout the quarter, doing so by raising money from various efforts such as our Monday & Friday jeans for charity day (if you see us wearing jeans, feel free to ask us why! ), hosting employee lunches where the cost of lunch is donated directly to the organization in need, as well as client events supporting the selected organizations. Turning Point Financial has a generous charitable matching program to encourage employees to give back, as well as encouraging employees to donate their time throughout the year on company paid time. This quarter, we are proud to support Kyle's Crusaders, a local organization who works tirelessly to raise much needed awareness and funding for pediatric cancer research. 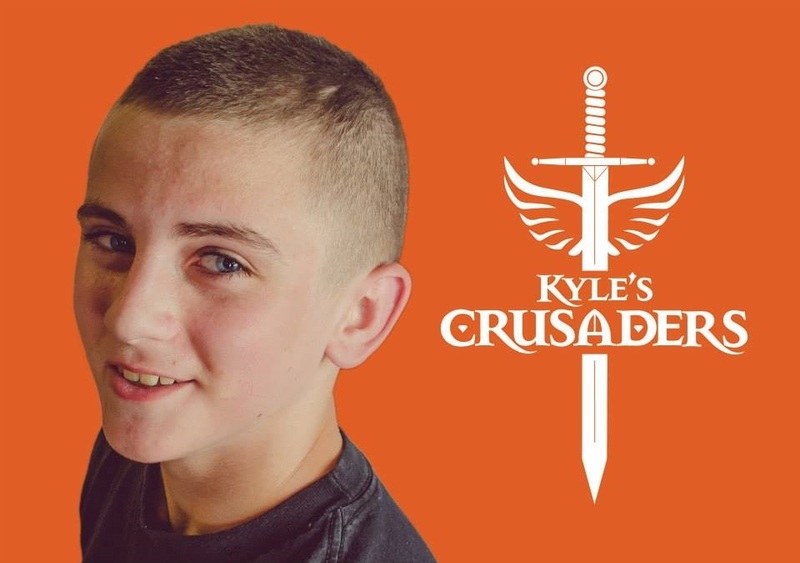 Kyle's Crusaders honors the memory of Kyle Addington, a bright, funny and fearless 16-year old whose life was cut short after a 7-month battle with Acute Myeloid Leukemia. Before he passed, Kyle told his family that he wished all children would be cured of cancer. Over the past 3 years, Kyle's Crusaders has raised over $100,000 and 100% of those donations have gone to fund research grants at top hospitals such as Children's Hospital of Philadelphia, Fred Hutchinson Cancer Research Center, Emory University and Memorial Sloan Kettering Cancer Center. Last quarter (and throughout the year), we were proud to support Mission of Mercy, an incredible organization dedicated to providing free medical and dental care to the uninsured, under insured and those who "fall through the cracks" of the health care system - all while maintaining human dignity. Kathy Troxell, President of Turning Point, shares her nomination: "Mission of Mercy is important to me because they are unique in their delivery of services with love – with the intentional goal of preserving the dignity of the person they are treating. Their absolute commitment to the human person is exemplary, and they fill a need to our community that is unmatched and unmet. They are also wonderful stewards of the resources they are given, and continue to find creative ways to serve those who are in need. We can all learn a lot from how they operate."